Content Marketing is white hot right now. Ensure your team has the highly engaging, highly relevant content it needs to meet your current customers and prospects' needs. 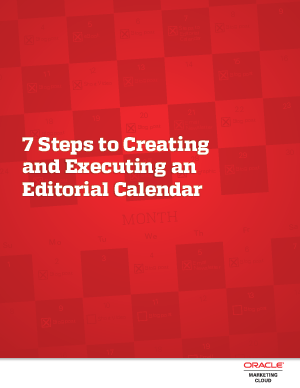 Stay focused with this how-to-guide on creating an editorial calendar.